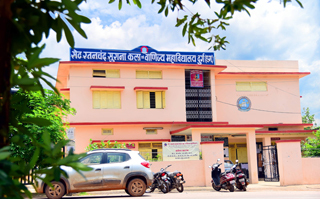 The college is run and managed by District Education Society, Durg. Established by District Education Society. Affiliated to Hemchand Yadav Vishwavidyalya, Durg. The Institution is ably guided by Dr. D. N. Suryawanshi, Principal and making all rounds progressive in all fronts.